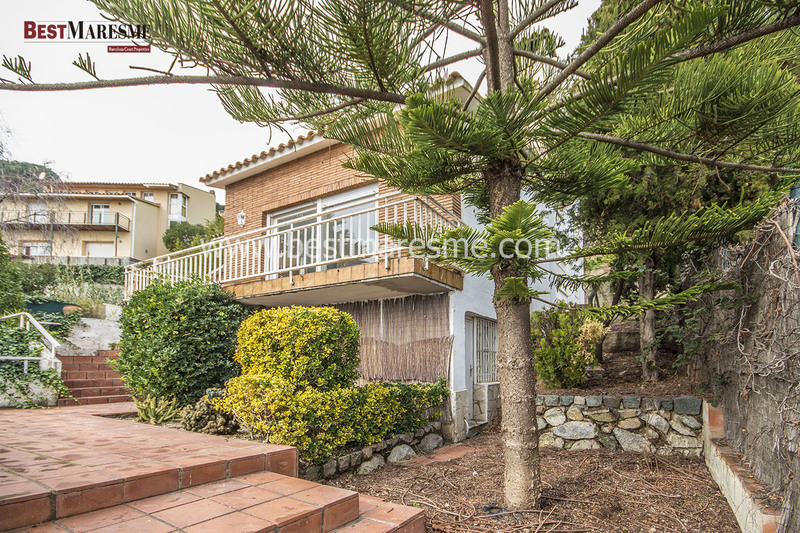 Detached house for sale with spectacular sea views, located in the town of Premià de Dalt. It has 400m2 area built on a 1,150m2 plot. Premià de Dalt is a municipality in Maresme, just 20 minutes from Barcelona. 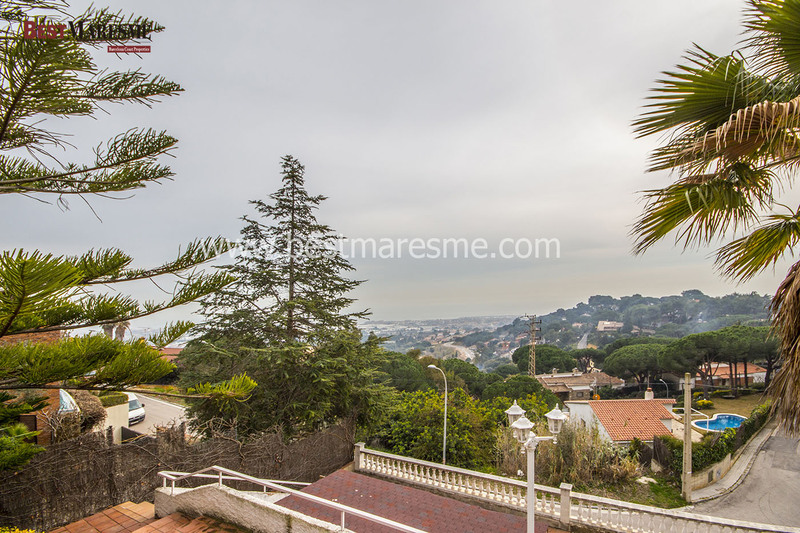 Located in a small valley of the coastal mountain facing the sea. It borders with towns such as Teià, Vilassar de Dalt or Premià de Mar. Thanks to the orientation, the house enjoys sun light throughout the day as well as stunning views over the Mediterranean Sea and the city of Barcelona. 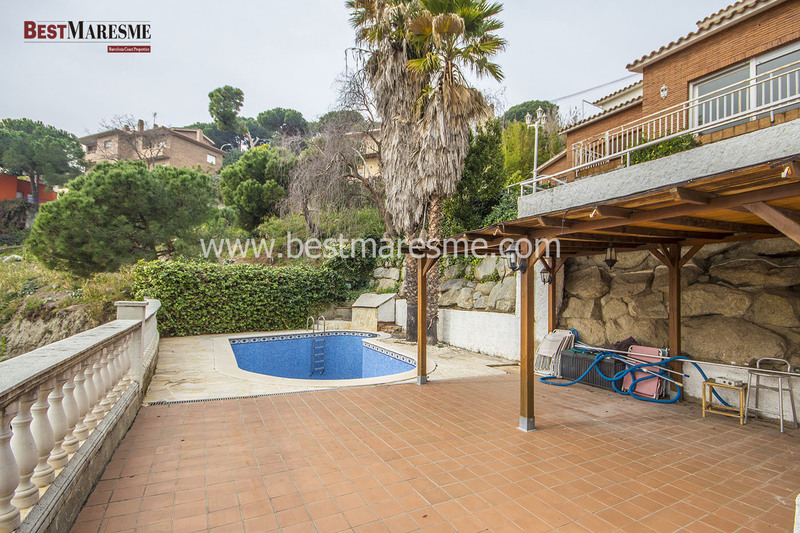 Its a property that offers many possibilities, in a privileged natural environment, only a few minutes from the sea and the mountain and 20 minutes from the city of Barcelona. The main floor consists in a spacious and bright living room divided into 2 main rooms, equipped with fireplace and direct access to the garden, a large kitchen with separate laundry room, 3 double bedrooms with fitted wardrobes and 2 bathrooms. Upstairs a second living room with fireplace, suite with bathroom, dressing room and large sun terrace with excellent views to the sea and Barcelona coastline. There is also another room currently used as an office room. In the basement there is the cellar, 3 multipurpose rooms for different uses and a garage for 2 cars. Outside, the garden of this house for sale is designed on two levels; the lower part has a swimming pool surrounded by a nice porch where you can enjoy pleasant outdoor meals or dinners with family or friends, and the upper part allows a flat walking access both from the dining room and from the kitchen. Previous Previous post: Exceptional design, Cabrils!